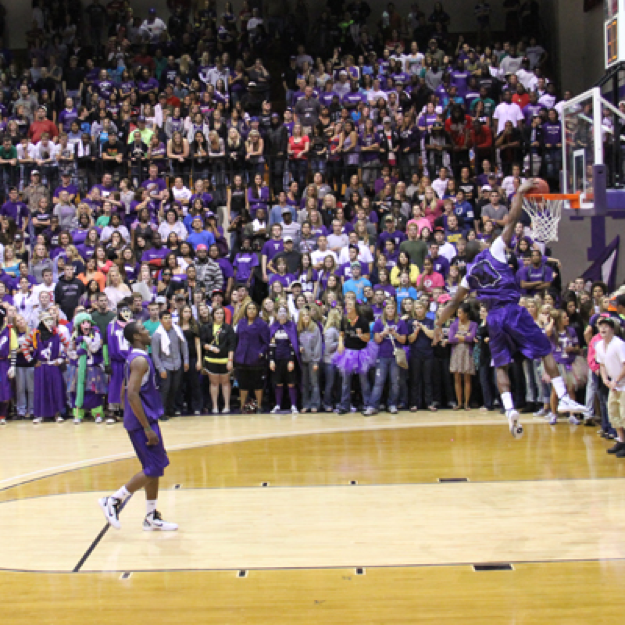 Correction: Midnight Madness is not a homecoming event and its date is not controlled by Tarleton Athletics. The NCAA sets up the date. The time has come for Midnight Madness to return to Wisdom Gym once more. The doors to Wisdom Gym will open at 11:15 p.m. on Saturday night after Tarleton State University football plays against Eastern New Mexico University at 2 p.m. There will be performances by the Texan Stars, the Tarleton cheerleaders, and Foul Play, Tarleton’s basketball band. This year will mark the Midnight Madness’s 24th year since it began in 1994 when Tarleton first became a part of the NCAA program. Tarleton Athletics will be giving away 300 T-shirts once the doors open until supplies last. 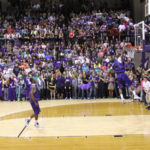 Tarleton Athletics will also be giving one lucky fan the opportunity to shoot and make a half-court shot in order to win free tuition and fees for the Spring 2018 semester. Once the clock hits midnight, Tarleton’s men and women’s basketball teams will take the court to signify the beginning of the NCAA collegiate basketball season. The TexAnn basketball team will begin with a light scrimmage followed by the men’s basketball team performing a dunking exhibition as well as a short scrimmage. The TexAnn basketball team will start their season with an exhibition game against Baylor University in Waco on Oct. 31 at 7 p.m. The men’s team will face off against Texas A&M University in an exhibition game in College Station on Nov. 3 at 6 p.m.